1. Greater daily live weight gain with improved killing out percentage. 2. Improves coat and hair condition of showing cattle. 3. Improves overall herd health status therefore reducing cases of pneumonia and other viral diseases. 4. Ideal for calves, stores, finishing cattle and showing stock in pedigree and commercial herds. 5. Suitable for growing dairy replacement stock and breeding bulls. 7. Available in 5lt, 2.5lt and 1lt simcro packs with back strap included. 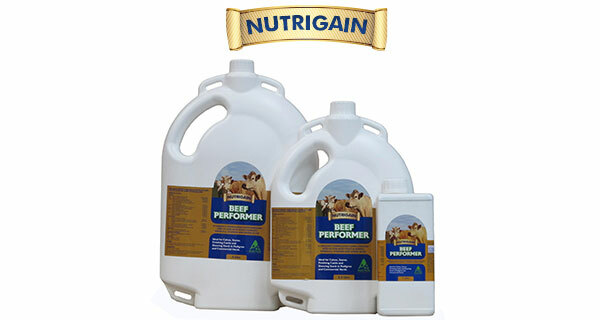 To download NUTRIGAIN BEEF PERFORMER product information, click here.